I have found out recently that there are Attorneys out there advertising to help homeowners in distress obtain a loan modification. But once the homeowner contacts the Attorney, they are told a Bankruptcy would be a more favorable option for them or that they do not qualify for a loan mod. I know this because my clients have informed me. It's a sick, but legal way to scam the public. Because in most of these cases, the homeowner would qualify for a loan modification. But these Attorneys are more focused on BK's, quick easy money. So they lure people in with false advertising, then rush them into BK's using scare tactics. 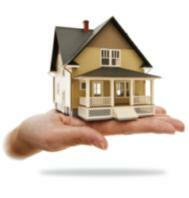 If you are trying to find a way to keep your home, a BK should be your very last resort. You are probably being told a BK is a easy way to clean your slate and start all over, but the fact is it will be a nightmare in short and long term. Below I have listed FACTS in regards to a Bankruptcy and a Loan Modification. Hopefully this will help you make a more informed decision before you make a horrible mistake. Click here to find out of you qualify for a loan modification. I will have a reputable Law Firm review your case to find out if you are a qualified candidate. This Law Firm does not focus on BK's. Bankruptcy. The very word evokes strong feelings in most people. Though rarely anyone's first choice when trying to cope with overwhelming debt, the decision to file should be made only when fully aware of all its consequences. Filing bankruptcy can be expensive: Court costs and attorney's fees add up, and are non-dischargeable. Depending on your situation, this is money that potentially could be spent bringing past-due accounts current, or making payment arrangements. You may lose property: If your assets are worth more than state and federal exemption guidelines, they will be liquidated and the proceeds divided up among your creditors. This can include your home, car, heirlooms, and jewelry. If you are filing a BK 13 to save your home, your lender will no longer speak to your or any 3rd parties should you run into more hard times. The lender has a right to take the home immediately. The only positive thing that comes out of this is the lender can not come after you for the deficit amount after the sale of the home. It doesn't solve spending problems: Bankruptcy won't be much use if you spend more than you make. Because credit is available even after discharge (usually with astronomical interest rates), many people quickly descend into debt again. You can only filer BK once every 7 or 10 years depending on which BK you chose. Not everything can be discharged: You can only walk away from such unsecured debts as credit cards and signature loans. So if a good portion of what you owe consists of student loans, tax debt, legal fees, or back child support, bankruptcy won't help. Bankruptcy will stay on your credit report for ten years: That's a daunting time frame for most people. The damage to your credit report can prevent you from renting an apartment, buying a home or car, or even acquiring life insurance. And many employers are now pulling credit reports to determine a candidate's responsibility and stability, so even your future job may be at stake. In a Chapter 13 bankruptcy, the debtor is allowed to keep his property, such as his home and or car: However, he must stick to a three-to-five-year payment plan that requires the repayment of all outstanding debt included within the Chapter 13 bankruptcy. According to the website of the United States Courts, the debtor can set up automatic payroll deductions to ensure that the payments are made on time. Failure to make payments as agreed could cause the judge to convert the Chapter 13 into a Chapter 7, and the debtor runs the risk of losing his property to cover the debts. This does happen in most cases so a Chapter 13 would be a temporary but damaging fix. Damages Credit: A bankruptcy filing is a serious financial decision. Bankruptcies remain on your credit report for 10 years. Loan applications and some job applications may ask you if you've ever filed bankruptcy, not just in the last 10 years but at any time over the course of your life. Some lenders and employers will not do business at all with a person who has filed for bankruptcy. On top of that, your credit score will drop by 160 to 220 points. Lenders that will lend to you may do so at high interest rates, which can place you further into debt. Costs Money to File: A Chapter 13 Bankruptcy filing will cost you $274, as of 2010. You will also have to pay a fee for credit counseling and financial management courses, which range from $30 to $50 as of 2010. You also have to pay attorney fees that are billed as a flat rate or hourly fee. Attorney fees vary from firm to firm, but generally run in the thousands of dollars. Since a Chapter 13 bankruptcy is more complicated than a Chapter 7, attorney fees will be higher, where legal fees can go as high as $4,500 in addition to filing fees. A Loan Modification will allow you to start over on a defaulted Mortgage: If you should fall on a hardship that causes you to fall behind on your mortgage payments, a loan modification will in most cases help you bring your account current, as well as bring your payments down to an affordable level. This will not have a negative reflection on your credit report, however, any past due payments before the loan mod will reflect on your credit. Making 2 years of current payments on your new Loan Modification will help you bring your credit score back up. The cost of a loan modification: Most homeowners try to work with their lenders and find it to be extremely difficult to make any progress with them. At that time the smartest thing to do would be to hire a Real Estate Law Firm or Licensed Attorney to negotiate with your lender on your your behalf. An Attorney knows your rights and federal Laws and regulations. Therefore it makes it hard for the lender to run around in circles. Also, an Attorney has more legal leverage which works in your benefit. The cost should be a flat fee and cost you no more that $3000. The fee should not be based on the loan balance. It takes the same amount of work for $100k home as it would a $1 million home. Bankruptcy VS. Loan Modification? What do you think? Facing Foreclosure? Warning on Getting Help! Loss Mitigation Programs That Stop Foreclosure!